← Get Your Mulch On! 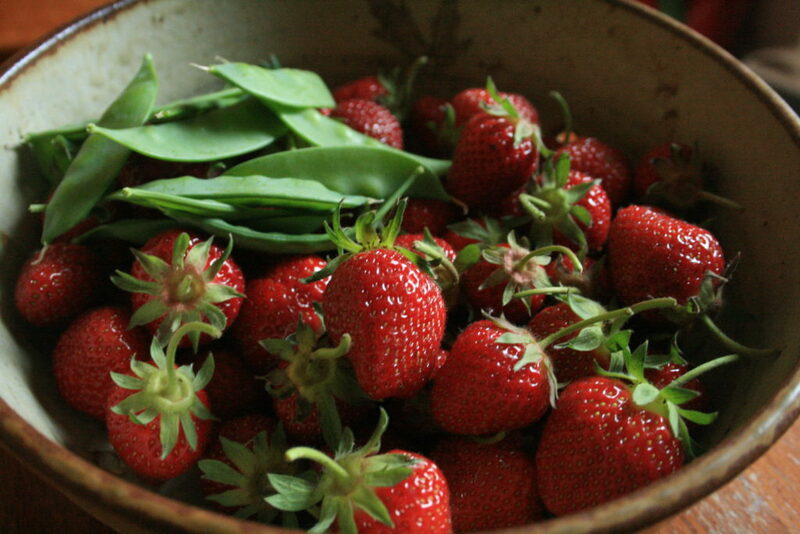 Each year June begins the season of garden snacking. While we do harvest some things from the garden earlier than June, they aren’t “garden snacks.” We rarely pop a lettuce or kale leaf in our mouth for a refreshing treat. 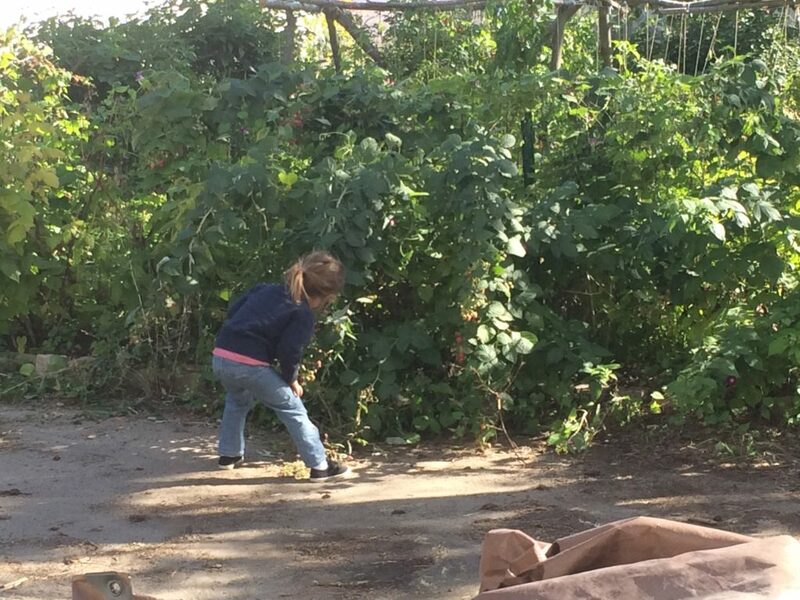 I’m talking about those garden bounties that make the kids come running for snack time. The ones that lure all the little people into the garden and make them love gardening as much as I do. 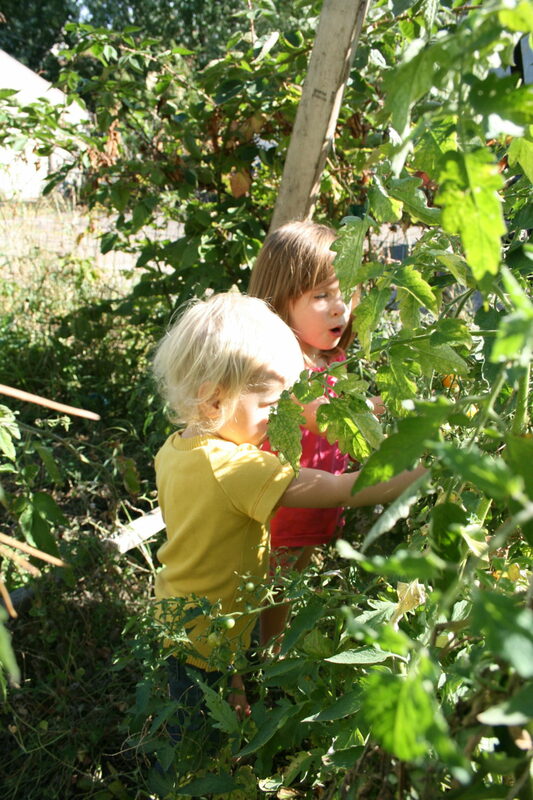 There is nothing comparable to standing barefoot in the sun, grabbing food right off the plant and popping it in your mouth. Sweet. Fresh. Nourishing. 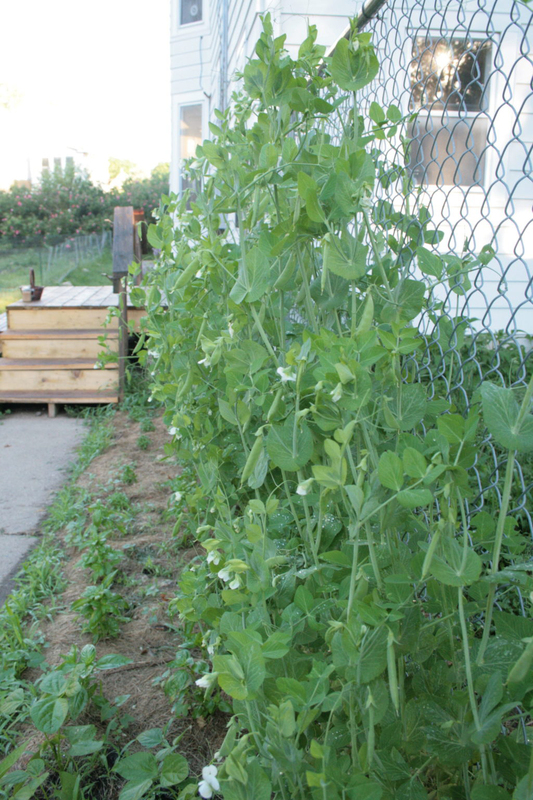 Every year, we plant a huge load of sugar snap peas to ensure we adults get some even after the littlest people have had their fill. Plus, I figure, they will freeze well. I’ve actually never had enough left to freeze, though. Unfortunately, as I explained in another post, our pea bounty will be less this year. AND the strawberry bed has seen much, much better days. Yikes! 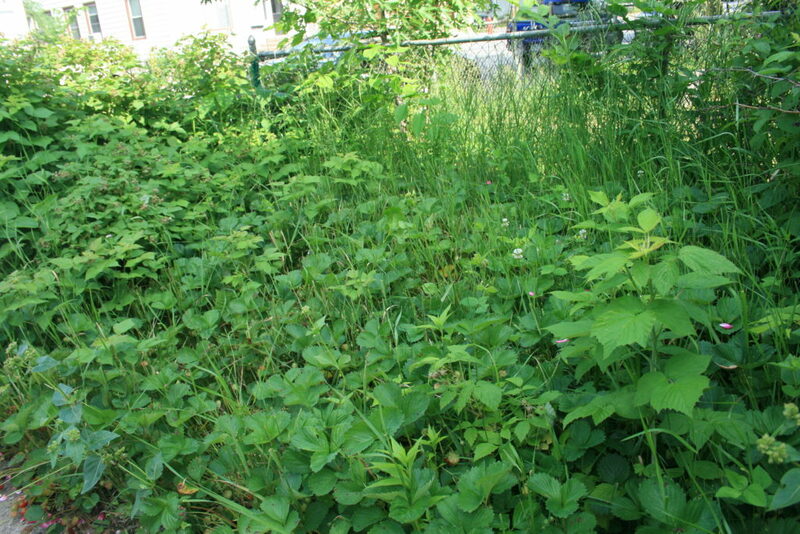 Last year, the neighboring grass crept under the fence and into the strawberry bed. When spring came this year, the grass had a major foothold. With my strawberries covering the entire bed, it’s difficult to pull grass out and not pull the strawberry plant, too. Even though it is currently a major eyesore (and yes, this is my front yard!) I’m leaving it until after the strawberries have fruited. Surprisingly, we are getting an ok harvest despite the towering grass!